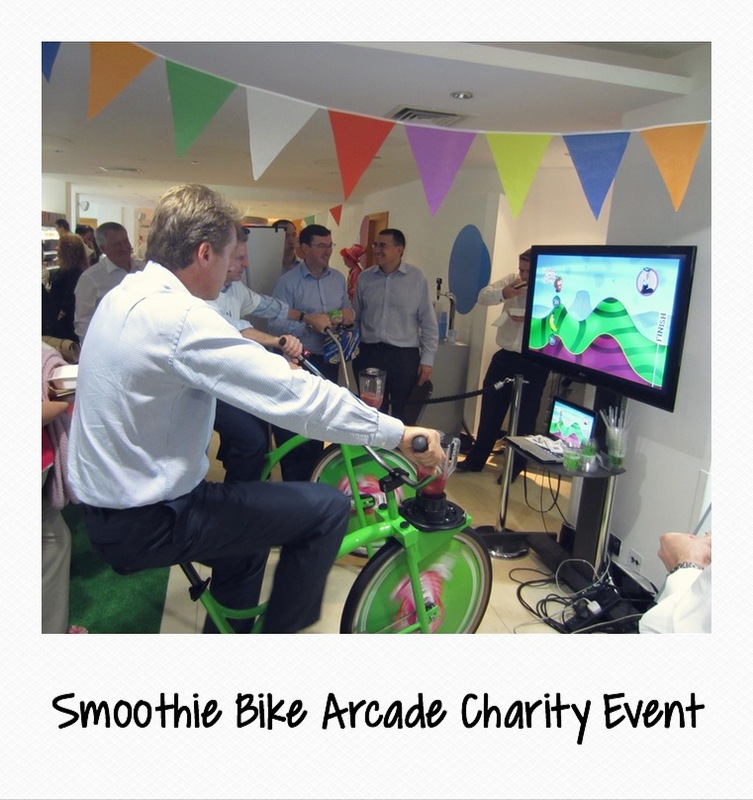 Smoothie Bike Arcade offers everything you enjoy with our normal smoothie bike hire and so much more. Your guests still blend delicious smoothies using their pedal power, but now they also play a fantastic interactive arcade game at the same time! Double the fun! People who didn't want to get on the bikes before without the game now are cycling and coming back to try and beat their score! If your event needs something new and interactive to get your guests talking and having fun, this delivers that along with the added bonus that refreshments are included. It's like a Nintendo Wii with giant controllers you can ride that also serves you drinks after you've played! Watch an event in action on our arcade video. This has never been seen before and only we have it so if you want to know exactly how it will add to your event just call us on 0203 375 6208 and we will be delighted to talk you through it all. Your guest’s challenge is to blend the perfect smoothie, by trying to make their on screen character follow our perfect smoothie course. The closer to matching the perfect course they are, the higher the score! This is not about top speed but pedal control and skill so everyone can play at any age and compete against workmates or friends. 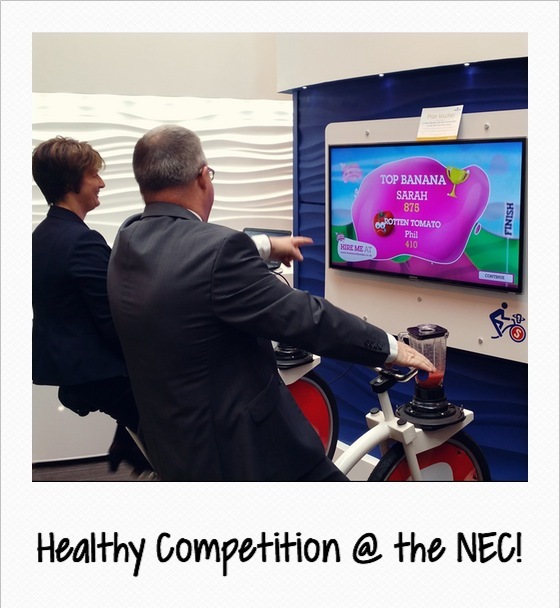 Of course while the game is being played the smoothie bike is working it’s magic and simultaneously blending up a delicious, healthy smoothie. With one bike guests can take turns and see who has the highest score at the end of the session. But with two bikes the competition really heats up as guests can compete head to head on the same screen, meaning you can organise your own knockout tournament. All of the characters are loveable unicycle riding individual fruits, eye catching and fun, and always reminding your guests that healthy eating and exercise should be enjoyed.